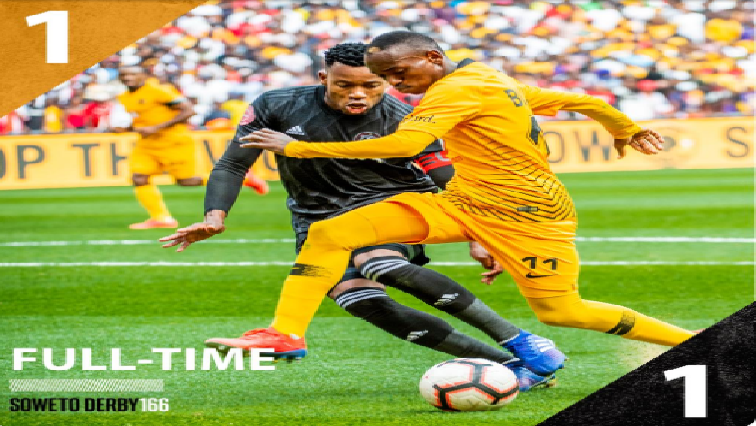 Pirates continue their unbeaten streak against Chiefs - SABC News - Breaking news, special reports, world, business, sport coverage of all South African current events. Africa's news leader. Orlando Pirates continue their unbeaten streak against archrivals as the derby ends in a draw. Pirates slowly clawed their way back into the match. There were tense moments for Pirates early in the match after goalkeeper Wayne Sandilands collided with Chiefs stand-in captain Bernard Parker but minutes later Sandilands made another important save. Pirates wasted a rare opportunity to punish Chiefs from inside the box. After a promising start both sides went to sleep and the first half failed to produce any goals. Midway through the second half Chiefs tried to protect their slender lead bringing in Willard Katsande for Leonardo Castro. Thembinkosi Lorch scored the equaliser for Pirates with ten minutes remaining. The 1-all draw means that the two coaches Ernst Middendorp and Milutin Sredojevic maintained their unbeaten record in the derby. This entry was posted on 09 Feb 2019,06:04PM at 6:04 PM and is filed under Sport. You can follow any responses to this entry through the RSS 2.0 feed. Both comments and pings are currently closed.